Once you have amassed a body of blog posts, it is very important to check your site traffic through tools such as Google Analytics, to determine which posts draw the most traffic. There is much wisdom to be gleaned by doing this. After authoring over 300 blog posts on luxury real estate marketing and branding we are excited to share with you the all time winner for most popular post on LOL so far. This feedback confirms our intention in writing the LOL blog, which is to uplift, inform, empower, and, also to entertain. We hope you enjoy it! 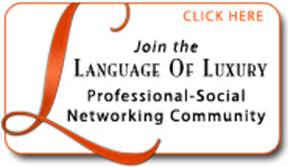 As a luxury real estate marketing professional do you have an engaging slogan? We have mentioned in a previous post, using slogans as a personal branding marketing strategy for real estate agents is an excellent way to differentiate you from the competition. The entire purpose of using a slogan is to engage your target market and get them talking about you. A humorous slogan is one way to accomplish this. “A slogan .should be a statement of such merit about a product or service that it is worthy of continuous repetition in advertising, is worthwhile for the public to remember, and is phrased in such a way that the public is likely to remember it." For some agents a humorous slogan can be an excellent personal branding strategy. It is not for everyone. But, if you have a good sense of humor you can engage your target market in this manner and really stand out from the pack. A very successful lender in Santa Rosa, California built a strong personal brand by placing a fresh ad in a popular local magazine each month, usually wearing a funny costume that evoked a movie star role or other pop culture icon. A humorous tagline that tied in the lending theme always was included. It seems like everyone you talked to in her marketplace knew her and looked forward to seeing the next installment. 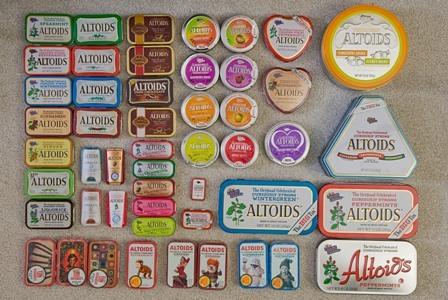 The latest TV commercial from Altoids introduces their small mints. A nervous woman in an elevator talks about an upcoming “big day, a big opportunity.” To calm herself she stretches, takes deep breaths and consumes an Altoid. The slogan appears, “Are You in Mint Condition?"